Playbacks of 116 Best of ATS 2018 sessions are now available! If you couldn’t join us in San Diego or couldn’t make it to certain sessions while you were there, catch up on what you missed. We have an expansive list of Postgraduate Courses from ATS 2018 now available for purchase. Whether you’re a novice or a seasoned pro with advanced skills, these courses give you valuable insights into the latest research discoveries, as well as tools to help sharpen your diagnostic skills. You can also access Scientific and Clinical Sessions, available as on-demand webcasts and audio files. We’ll soon have a selection of 2018 Continuing Education Products available, including the new CME/MOC webcast packages covering a wide range of critical care topics. In the meantime, check out the 2017 products. ATS Members: One of many benefits of your membership is FREE, on-demand access to select Continuing Education Products! For access, simply log in to your ATS account via the ATS Store. You’ll also be able to download on-demand webcasts and audio for Select Sessions and Track Packages. For a preview of what you can expect, see last year’s offerings! 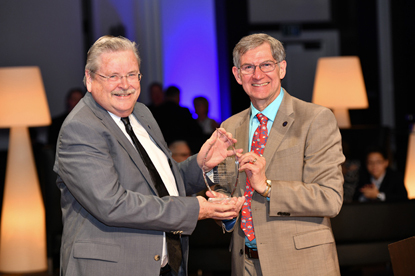 On Saturday, May 19, more than 700 guests came together at the 10th Annual Foundation Research Program Benefit to recognized James F. Donohue, MD, with its highest honor — the Breathing for Life Award — for his philanthropy, scientific achievement, and commitment to mentorship. 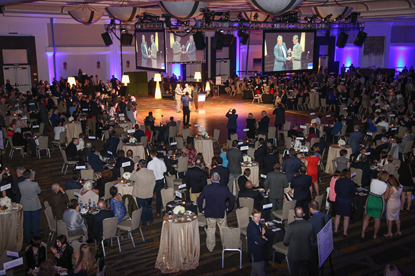 The Benefit also raised more than $472,500 to support research grants and young investigators! In 2018, the ATS Foundation will fund more than 30 awards, including unrestricted research awards in pulmonary, critical care, and sleep medicine; research partner awards; and awards for outstanding alumni from the Methods in Epidemiologic, Clinical, and Operations Research (MECOR) program. Since 2004, the ATS Foundation Research Program has provided $17.6 million in grants to more than 235 investigators who have gone on to secure $268 million in federal funding. Thank you to our corporate, medical institution, and individual supporters for your generosity! 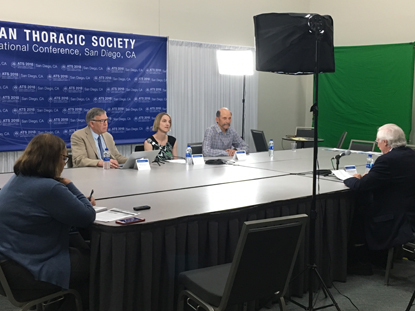 ATS 2018 shined a spotlight on the topic of physician burnout, with sessions and discussions focused on battling and reducing burnout and the importance of physical wellbeing. 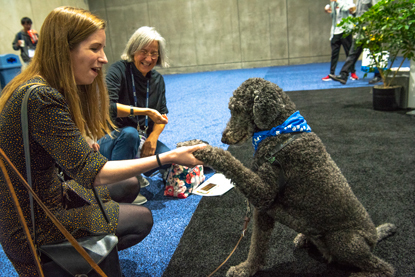 Attendees who visited the Restoring Joy in Health Care booth in the Exhibit Hall were treated to a chair massage and time with the many (adorable) therapy dogs on site! If you’ve attended the ATS International Conference before, you know that there is a LOT of walking involved. 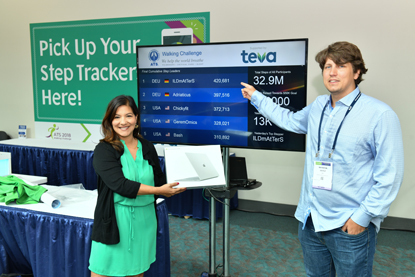 The ATS Walking Challenge encouraged attendees to stay active during the conference by tracking their steps to help raise funds for the ATS Foundation Research Program. For every participant who walked 30,000 steps, the Walking Challenge sponsor, Teva Respiratory, donated $100 to the program, for a total maximum donation of $50,000. Many thanks to the more than 1,300 participants and the generosity of Teva Respiratory in helping to reach our goal of $50,000! The ATS International Conference serves as a forum for researchers to release key findings and scientific discoveries. At ATS 2018, findings for 18 studies were announced, with topics ranging from air pollution and respiratory distress hospitalization of the elderly, to in-utero exposure to carbon monoxide and poor lung function, to black lung disease resurgence among coal miners. Read up on the research findings announced at ATS 2018.